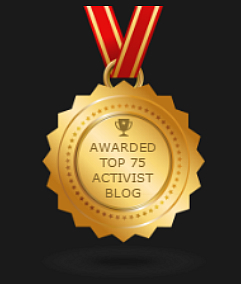 The Ecologist: Endorsing China’s Imperialist Arguments? We received recently a copy of an article ‘The Global Cost Of China’s Destruction Of The ‘Roof Of The World’ from the respected English journal, The Ecologist on the subject of environmental issues arising from China’s presence in occupied Tibet, a catalog of ecological degradation, fueled by an un-sleeping exploitation of Tibet’s natural resources, principly mineral extraction (including Uranium), state approved logging on a massive scale in Eastern Tibet that has transformed once verdant mountain forest into a lunar like landscape, and ill-considered hydro-schemes which are seriously reducing lake and river levels, along with access to clean water for Tibetans. 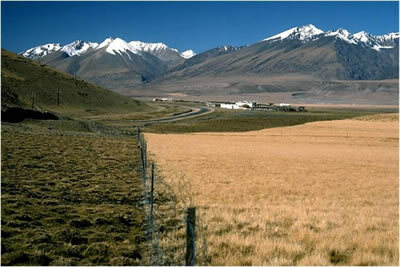 The environmental impact of China’s occupation of Tibet is severe indeed, ask Tibetan nomads who have seen their formerly free and open grasslands, eroded and denuded of minerals following China forcible annexation of such regions, imposing insane agricultural policies that have poisoned the land, generating desertification along with over-grazing caused by China imposing fences across the region. 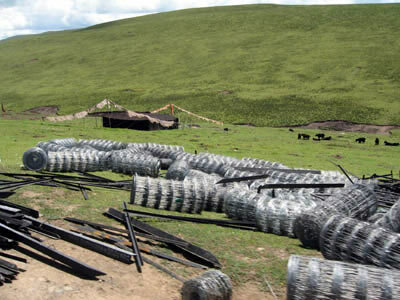 Any investigation and critique of China’s ecological record in Tibet is very welcome and adds much-needed exposure to a subject that, for whatever reason appears to draw relatively little concern from the wider environmental movement. Within that important context we applaud The Ecologist for running the article, however those who are aware, and knowledgeable regarding the nature of China’s occupation of Tibet, will in all likely hood share our sense of disappointment at some of the assertions featured in the article, with respect to what is described as ‘The Benefits Of Chinese Occupation’. The following extracts illustrate the concerns we have, to which are added our critical response. Whatever the claims of China’s propaganda, which has distorted the understanding of its people on Tibet since 1950, resulting in the warped perception that China was a force for liberation and improvement, the reality is that we are in truth looking at military annexation, followed by colonization, exploitation with the aim of assimilating and eradicating Tibetan national identity. It is curious why The Ecologist seems so willing to consume as fact claims, which owe their origin to China’s Ministry Of Disinformation, that the supposed investment into Tibet, has had as a target the improvement of Tibetan lives. While considerable funds have been directed to develop and maintain transport infrastructure, tourism development and industrial projects, these are to consolidate China’s control over Tibet. 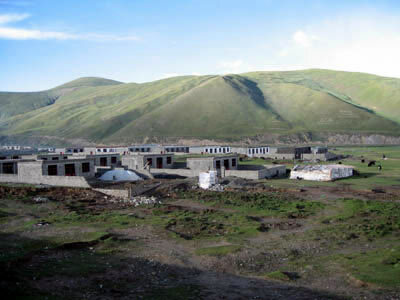 Such funding sustains and encourages Chinese colonization of Tibet, which is on a scale that seriously threatens the stability of a future Tibetan population, aided by the forcible sterilization of Tibetan women. In accepting Chinese disinformation that it’s occupation of Tibet is seeing a material improvement for Tibetans the article is endorsing what is in essence an argument used by all imperialist aggressors, that justifies the suppression and virulent exploitation of a people by insisting its presence is improving the lot of the ‘natives’! However, the only people who are truly gaining advantage in occupied Tibet are China’s colonists and its regime, leaving Tibetans a grossly deprived and viciously oppressed people in their own land, the misery of which can never be compensated for by the questionable benefits of China’s crass consumerism. What operates in occupied Tibet is economic, educational and health provision apartheid in which Tibetans are a subject people, living under the tyranny of a violent and illegal occupation. Is that the material improvement The Ecologist is so happy to assert as a fact? We wonder if the Editors of that journal would have been so ready to repeat the propaganda claims of South Africa’s former racist regime, that the lives of black people in Soweto, were improved by the commercial successes emerging under a system of Apartheid? Can you please tell how many pages are there in the article and an ISSN no? I am trying to get hold of it through my university interlibrary loan service. Thank you. Two or three pages, we have no hard copy so cannot provide the ISSN, however sure if you request your library to secure the May 11 edition of The Ecologist it would not be too for difficult for them to receive that. Chokyi very surprised to hear that. Would be helpful maybe if you emailed the Ecologist directly and informed them of the difficulty you are having securing a copy via your University. Mention it is for academic purposes and ask if they would kindly email a copy for your purposes.